When I first started working as a programmer, I had to find employment in a corporate environment – there was no other option. Things have changed in the meantime. Now there are countless opportunities that make it easier than ever for us to become freelancers. That’s what I did a few years ago, and I wouldn’t change it for the world. This is not meant to disparage the idea of working for a large company. That way you gain work habits that will serve you later in your professional career. These companies give you safety in knowing that there’ll always be work to do and that you’ll always get paid for your labour. Not everyone enjoys being a “corporate drone,” though. People often feel enslaved by office work, which is exactly how I felt when I started thinking about going freelance. I was scared at the possibility of not being able to find work and, by extension, not earning enough to cover my monthly expenses. Luckily, it all played out rather nicely for me, and it shouldn’t be any different in your case. There are many reasons why I love being a freelancer, and I will outline some of them here. When you’re a freelancer, you are your own boss. There’s no one standing behind you, micromanaging every single move or decision you make. There’s nobody standing behind the glass window of their office, pointing at their watch to remind you that you are dangerously close to the deadline. When doing freelance work, you are responsible for every single choice you make. It’s all up to you: you set the tasks, you determine the deadlines, and you worry about delivering quality work. In the freelance world, all the decision-making is in your hands. You can even choose when you want to work. Office hours in the corporate world may cause a lot of stress for you, especially if you’re expected to deliver a certain amount of work within an 8-hour workday. When freelancing, you can divide your work over the course of the day. 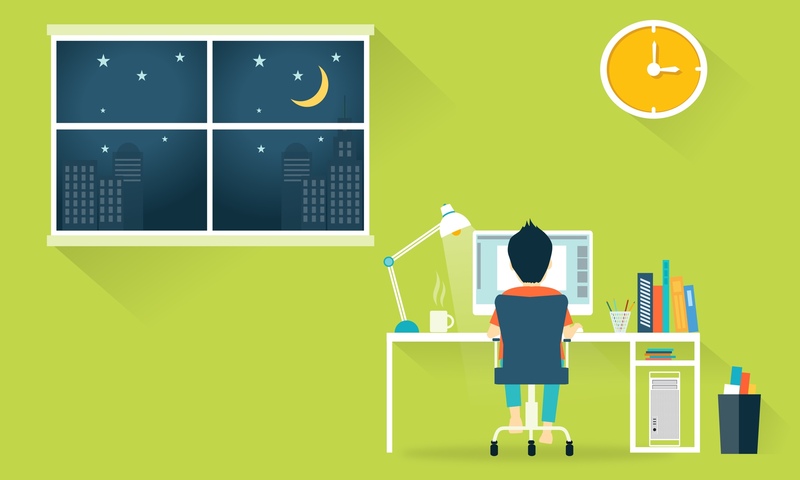 If you’re more of a night owl, there’s nothing stopping you from working at night. It quite often happens that you come up with an idea in the middle of a sleepless night. You don’t have to sit on it until the next day; you can sit up, open your laptop, and start developing it immediately. When working for a large company, you don’t have a say in choosing your clients. You just have to be polite when dealing with unprofessional and rude people, simply because their businesses bring in a lot of money to your bosses. As a freelancer, you choose who you want to work with. More importantly, you choose projects you are interested in. Sometimes, working on a one-off project with a client can turn into a lasting professional relationship. They will recognize the quality of the work, which will be enough for them to want to entrust you with all of their future projects. Every once in a while, a project will ask you to step outside of your comfort zone and do something you have never done before. Because you’re a freelancer and you value your work, you will go the extra mile to meet your client’s expectations and deliver results both of you will be happy with. By accepting the challenging task and doing your best to turn in great work, you are also acquiring an entirely new set of skills that will help you immensely in your future projects. Instead of tackling demanding tasks for a company that pays you a flat monthly fee, you get to keep all your earnings. If you can maintain the volume and quality of your work, you are likely to earn a lot more than you would in a corporate environment. Freelancing gives you freedom to do what you want, when you want, and where you want. You are free to choose who you do business with, and decide independently on your next move. The corporate world might give you safety, yet with hard work and commitment, the freelance world gives you not just safety, but also freedom. As humans, we cherish that more than anything.